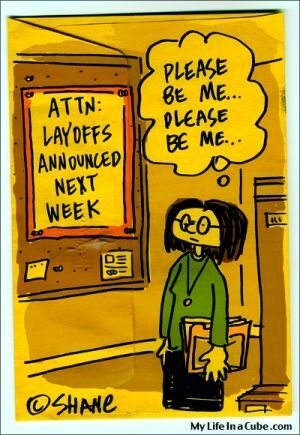 Forget about the news for a few minutes and get some laughs at the expense of the layoffs being announced daily around the world during the economic crisis. Share this article with anyone going through tough times at work. 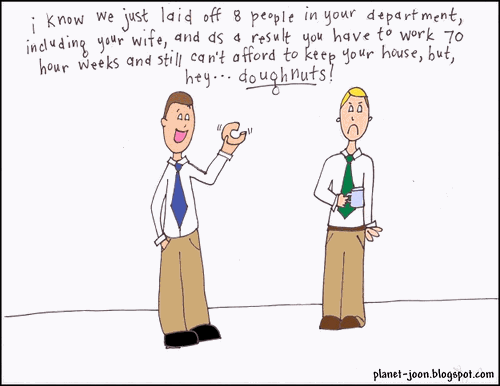 And if you liked it, you'll enjoy the 20 Best-ever Web Comics About the Job You Want to Leave. 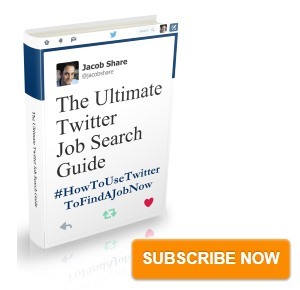 Subscribe to JobMob via RSS or email and follow me on Twitter for more laughs in the face of tough times. 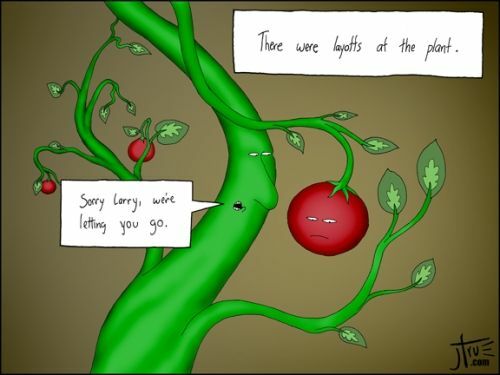 If I made you laugh, please digg my 15 Funniest Cartoons and Web Comics About Layoffs (button at the bottom): http://tr.im/23eu Thanks! Made me laugh. 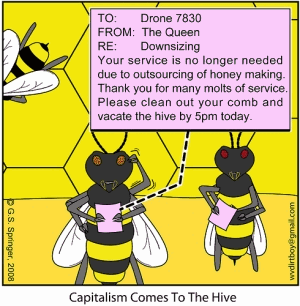 Great work, I think its great that people can benifit from the credit crunch. I’m sure the artists are laughing all the way to work. Is it me or is the credit crunch doing web designed and graphic designes a favor. Ive had numerous business approach me saying times are bad and they need a web site or fresh design to advertise there business and generate more money. Times have never been so good for a freelancer. I hope these artists are in the same boat. Keey up the good work. I posted this ‘toon to mark my lay off this week. The one by Jessica Hagy is the best. 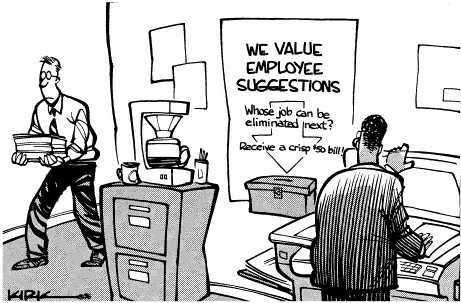 Increase in layoffs is directly proportional to the increase in bloggers. Grant- I agree with you that the crisis will see more people freelancing. A study of freelancers I saw recently was that most of them make less than they did at their old jobs but they were happier with the new arrangement, and that’s really what matters if they can still pay their bills. However, those were mostly people who chose to become freelancers, a big difference from the people who will know do it because they see no choice. Thanks, Jacob. Glad you liked it! 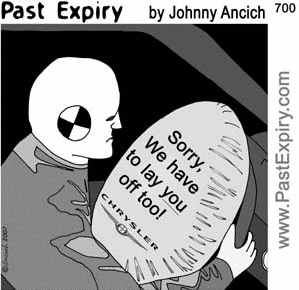 Johnny- thanks for the link. Yours Truly- thanks for the links, they’re hilarious and I’m glad to discover your webcomic. Good luck with it. 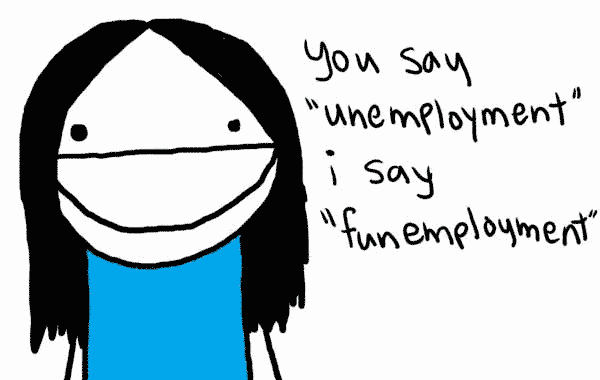 a blog cluster that gives people an open space to tell their absurd tales of unemployment as well as gain support. is a good way, take the real situation for many of us. i was laid off too from a roofing company, and this page make me think about the others. 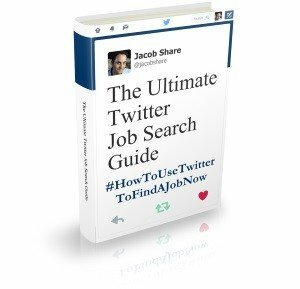 I may never find a job because I tweeted this post.